The challenge: Design a “needle you can see with” that will change the traditional standard of care for diagnosing joint injuries. 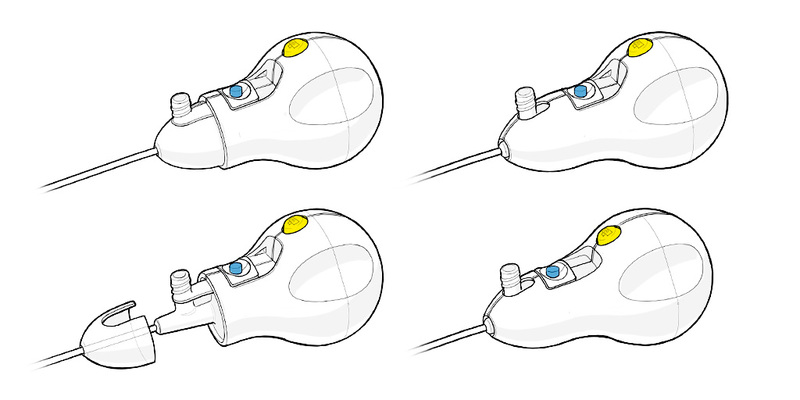 A consumer-product approach centered on ease of use produced a complex medical device that looks and feels simple. 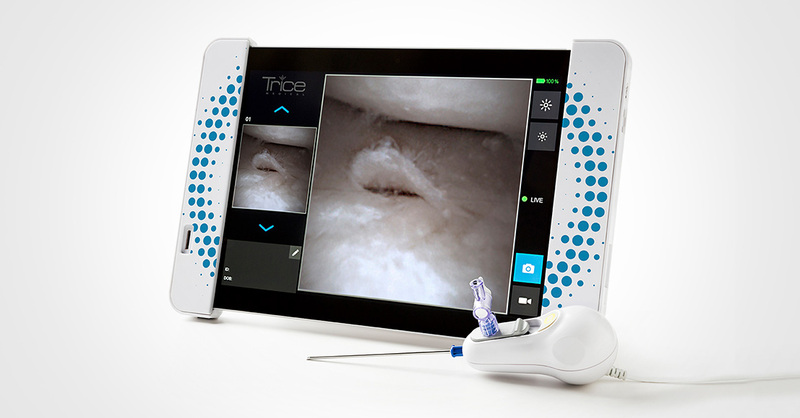 Bresslergroup helped Trice Medical take their innovative camera technology and develop it into a straightforward, fully integrated solution. No competing products provide immediate, real-time visualization of the intra-articular joint space; practice-friendly ease of use; and a simple, streamlined procedure optimized for use in an office setting. The traditional standard of care for the diagnosis of joint injuries consists of at least four doctor-patient interactions: 1) physical exam and x-ray, 2) MRI, 3) MRI consultation, and 4) surgical arthroscopy. mi-eye+™ cuts this process in half: 1) physical exam and x-ray with in-office diagnostic using mi-eye+™, and 2) surgical arthroscopy. It is the only fully integrated and disposable solution that combines a camera, a light source, and access needle in a single-use device. 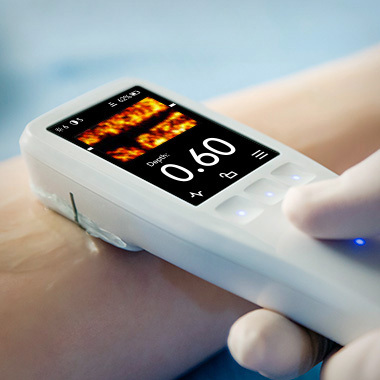 Developing it required the combination of a consumer electronic mind-set with the rigor of medical device development. The directive from the team of surgeon-designer stakeholders was to design from the needle up, not the arthroscopy technology down. This provided critical clarity, especially when combined with the patient’s perspective and the need to keep everything simple and suitable for a physician’s office — and not an operating room where the patient is typically under general anesthesia. We tested prototypes with surgeons and Trice engineers at several points throughout the process, from using foam mock-ups at physicians’ offices to 3D-printed prototypes in cadaver lab settings. The needle retraction mechanism’s simplicity and its incorporation into the handle were direct results of this testing. Counter to traditional arthroscope design, where high component costs dictate reusability and also specialized cleaning or re-sterilization, we integrated the low-cost camera and data cord into the disposable needle. 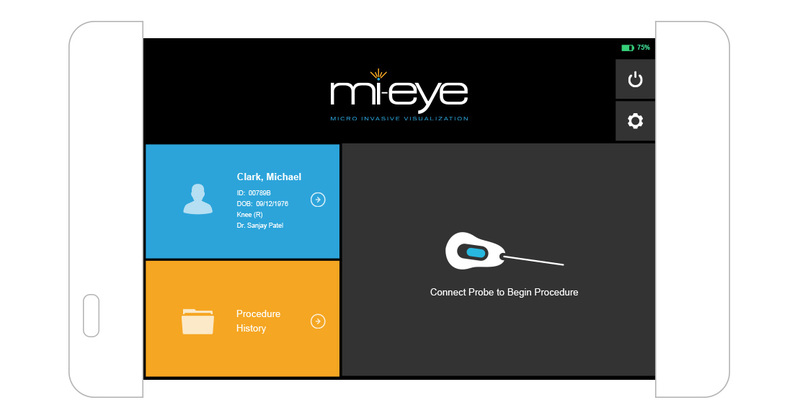 The low-cost components in the mi-eye+™ enable a product solution that is made for the office environment, where there’s no specialized staff or equipment for cleaning/sterilization. The user interface (UI) was designed to be intuitive and easy to use. Interface elements were optimized for specific tasks pre, during, and post procedure, as well as for both handheld and stand-alone use. 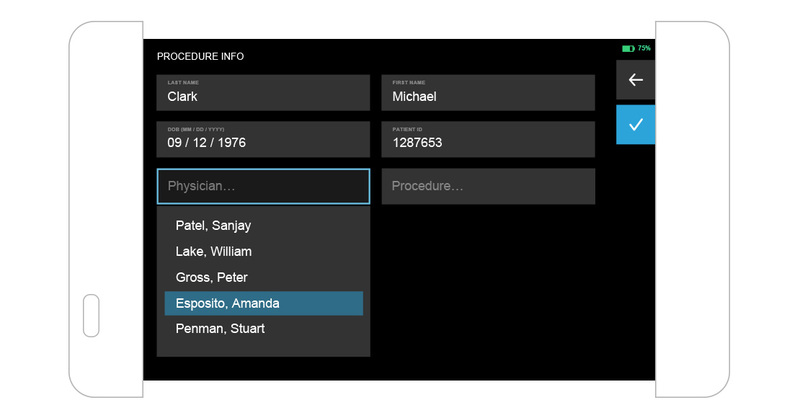 Key tasks to be performed via the interface include: entering patient information for the procedure; exploring the joint via live video and capturing images on the fly; navigating current procedure images to share with the patient; navigating and managing patients and image history; and transferring files from the device using a USB drive. 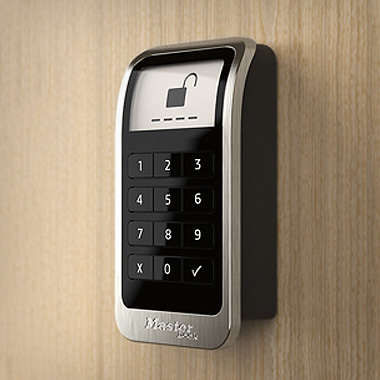 The user interface was designed to be intuitive and easy to use. 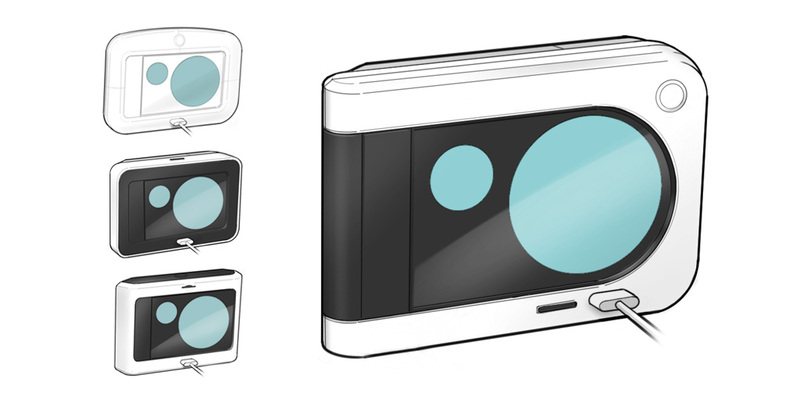 To incorporate the round images generated by the camera’s unusual optics, Bresslergroup’s industrial designers created a rounded bezel on the tablet to frame the user interface. The device and tablet’s soft curves and silhouettes make mi-eye+™ feel friendly and approachable in an environment characterized by fear and unknowns. For its next gen version, the tablet got an update from Bresslergroup to switched out its custom display for a modified Surface tablet. 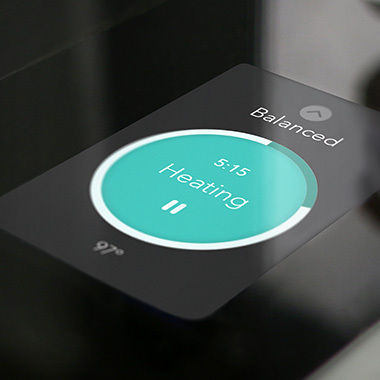 This not only cut manufacturing costs significantly, it also opened up software options for improved UI and to expand the device’s capabilities. 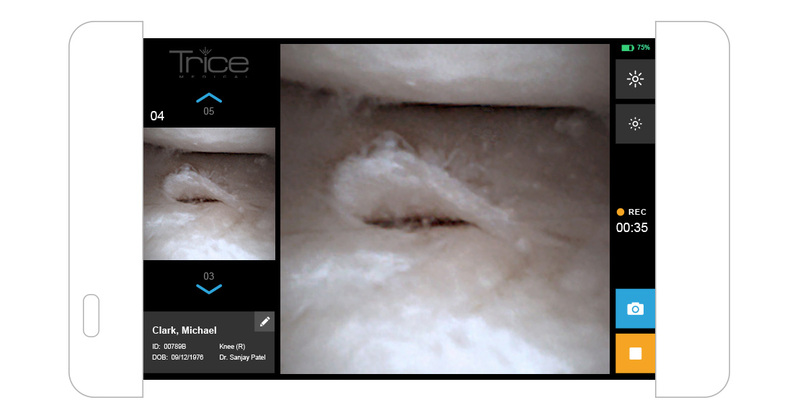 The mi-eye+™’s clinical impact is potentially very significant. This simple-to-grasp solution enables orthopedic surgeons to quickly diagnose and treat joint injuries, and provide more immediate and definitive patient care. A definitive diagnosis during a mi-eye+™ exam minimizes unnecessary surgeries, resulting in potentially significant savings for the entire healthcare system. 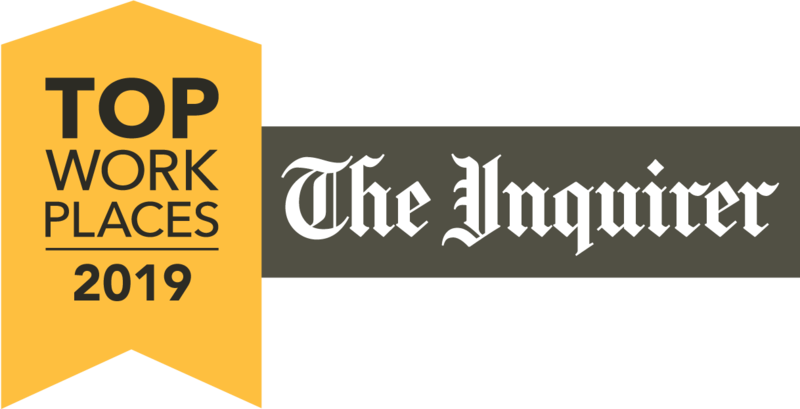 mi-eye+™ was chosen as a finalist in the 2016 Medical Design Excellence Awards (MDEA) competition’s Diagnostics Products & Systems category as well as in the 2017 IDSA International Design Excellence Award competition. It received a Silver Excellence in Design (EID) award from appliance DESIGN in its Medical Equipment & Devices category.